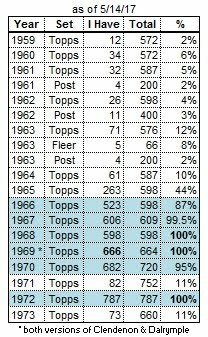 Here's the Say Hey Kid, occupying the #1 card in Topps' set. I received this card from DeansCards.com. 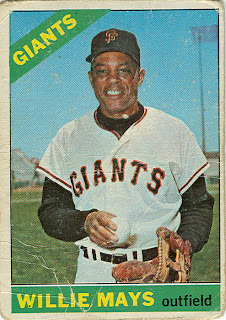 This is the 2nd Willie Mays card I got from Deans Cards, having purchased a replacement for my lost 1969 card a few years ago. 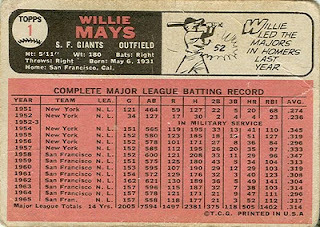 Coincidently, Topps used the same photo on both the 1966 and 1969 Mays' cards. 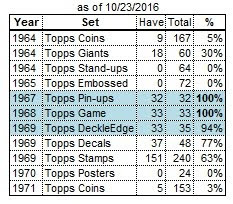 That was no surprise, since Topps had also used the same photo from 1965 on the 1968 card. 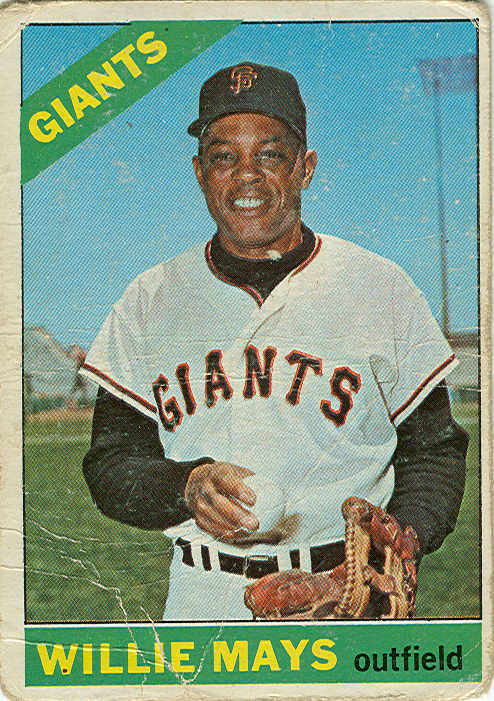 Willie seems much happier here than on his 65/68 cards. I'm not going to rehash Mays' career here, having done it elsewhere. 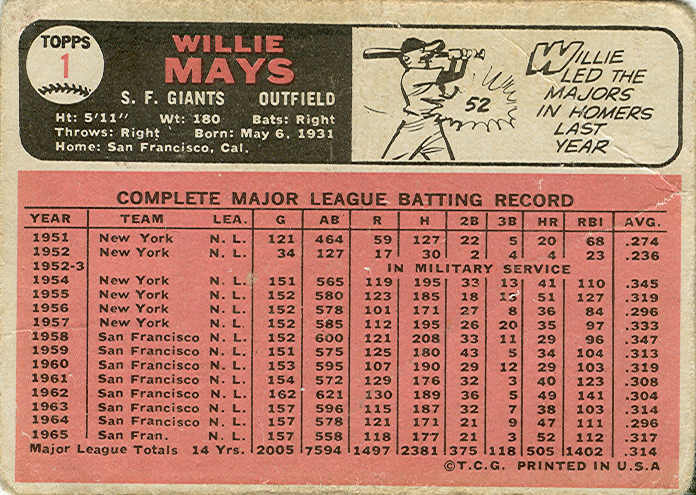 I'll just say that I recently watched various "Prime 9" shows on the MLB network ("Top 9 centerfielders", "Top 9 defensive plays", etc), and Mays was just an awesome player! 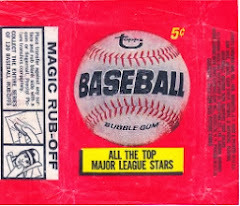 I saw him play briefly from 1967-73 on TV, but I was too young then to appreciate what I was seeing.